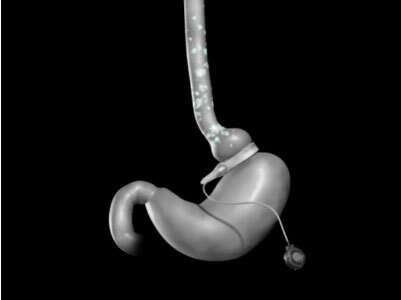 REALIZE® Band surgery is an adjustable gastric banding procedure that has proven to be one of the safest and most effective weight loss surgery options available. This is a reversible bariatric surgery procedure designed to help you lose weight by giving you an earlier feeling of fullness at mealtimes. The band does not permanently alter the shape of your stomach, and the procedure does not typically require extensive recovery time. Morbid obesity is a disease which can affect your health, your livelihood, and your self-confidence. Dr. James Parrish focuses on comprehensive care to help you achieve your weight loss goals. As an experienced bariatric surgeon he understands the physical and emotional turmoil morbid obesity can cause, and he has helped develop a weight loss program that is committed to your long-term success. Our program includes nutritionists, weight loss support groups, counselors, and other healthcare professionals who are dedicated to helping you change your life and reduce serious risks to your health. Together, we can help you shed significant amounts of weight and improve your way of life. Dr. Parrish will meet with you for an initial consultation to discuss all aspects of REALIZE® Band surgery and help you determine if this procedure is the best option for your needs. 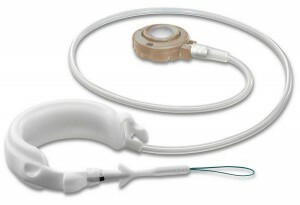 Dr. Parrish can perform the REALIZE® Band procedure using the laparoscopic technique. This method utilizes small surgical instruments and a tiny camera which provides a precise and clear field of vision for Dr. Parrish. It also allows for a faster procedure, less noticeable scarring, and a quicker recovery. Once Dr. Parrish has made the initial incision, he will place the REALIZE® Band around the upper portion of the stomach, creating a small stomach pouch. The silicone band is designed to be filled with a saline solution – the more saline that is injected into the band, the further it will restrict the stomach pouch, allowing for less food intake before a feeling of fullness sets in. A small port connected to the band is used to adjust the level of restriction. The port is hidden under the skin and completely invisible. In the weeks and months following surgery, if you need the band to allow for more or less food intake, Dr. Parrish can add or subtract saline from the band using this port. REALIZE® Band surgery can often be performed on an outpatient basis. It typically takes only about 30 minutes to complete the procedure. The treatment is performed under general anesthesia. Since this is a surgical procedure, some degree of discomfort can be expected after REALIZE® Band surgery; however, this can be alleviated with medication. Your progress and recovery will be monitored as part of our comprehensive weight loss aftercare program in order to ensure you are comfortably adjusting to the band and your new dietary regimen. We will schedule regular follow-up appointments in the months ahead to make sure your weight loss is progressing safely and effectively. REALIZE® Band surgery has a very high success rate. The procedure has helped patients across America eliminate diabetes and reduce a number of other health risks caused by morbid obesity. It has also helped patients achieve a slimmer appearance, an improved livelihood, and a greater self-confidence. REALIZE® Band surgery is designed to be an effective tool for weight loss – not a cure for morbid obesity. That means that the best chances for success lie with those who carefully adhere to the diet and exercise requirements necessary to achieve healthy weight loss with the REALIZE® Band. Our program offers a number of educational and support systems to help you during your weight loss process. With REALIZE® Band surgery, Dr. Parrish and his team can take you on this next important step to living a healthier life. If you would like more information on REALIZE® Band surgery, or if you would like to schedule a confidential consultation with Dr. Parrish to talk about your options, please contact our practice today.